Lip care is essential as lips don't have oil gland's. Our lips may get damage due to harsh weather conditions, sun or color weather. 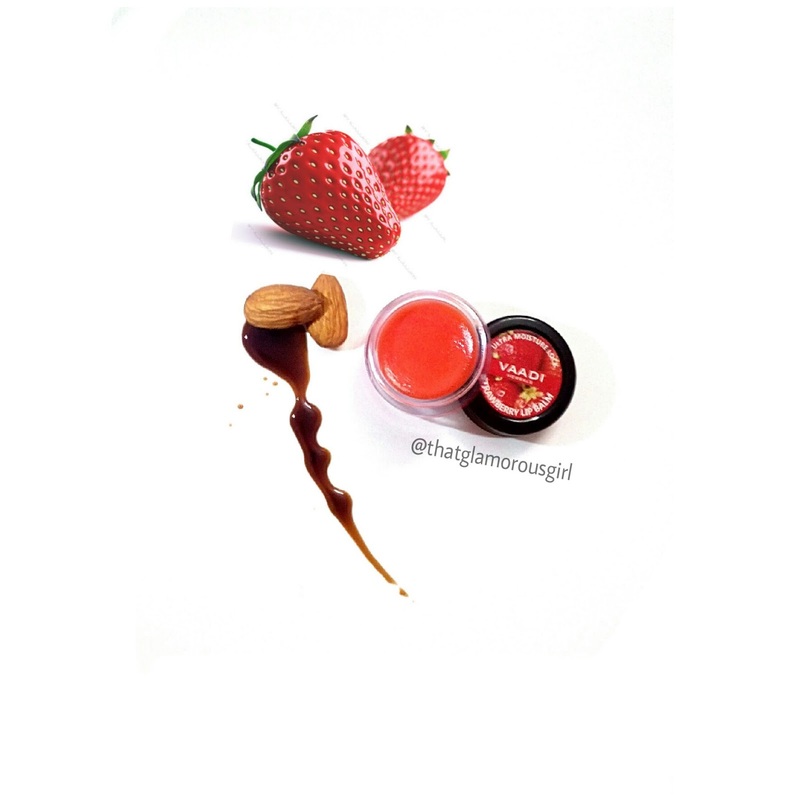 So we need to take proper care and pamper our lips by applying a perfect lip bam. 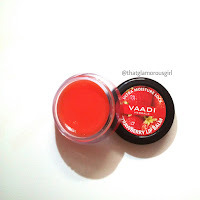 Today I have a lip bam from vaadi herbal on my blog. Vaadi Herbals Strawberry Lip Balm contains strawberry extract, Vit-E, Honey and Almond Oil. Three years from the date of manufacture. Moisturizes dry and cracked lips. Vaadi Herbals Strawberry Lip Balm is reddish in look. It come in little, round tubs, made of transparent plastic. The balms feel a little more waxy. It have a very sweet strawberry fragrances. Sometimes I feel like eating it >.< but it's not edible. Now when talk about it's ingredients like Honey, Honey traps the moisture and keeps the hips hydrated for a long time. Almond, Almond oil is an effective cure to dryness and sun burns. 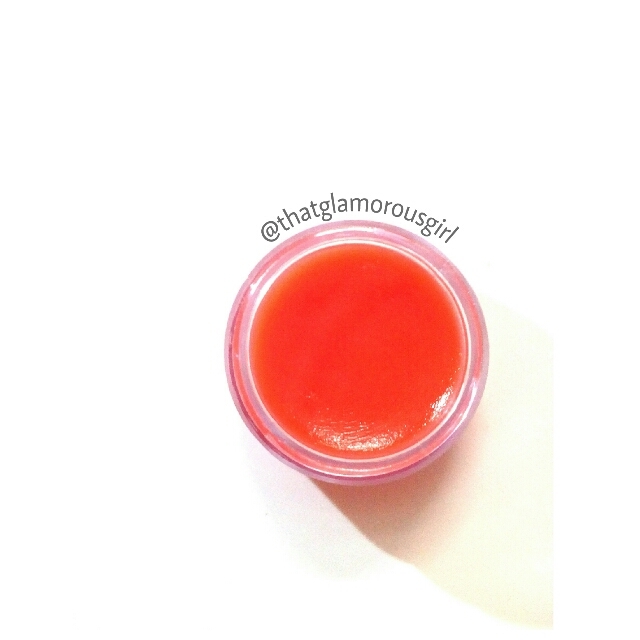 So It's ingredients make this lip bam curing & healthy for lips. No cons as such, just not easy to apply with long nails. Let's just drop the idea of just dressing up the bride & the groom. Let's get our Bride's Maid ready for this wedding season! Hello everyone, As we're stepping into season of festivals, first thing that srtikes our mind is "What am I going to wear this time?" , I am here to help you all to rock your looks for this season in budget. Here you are going see few of the looks I created in budget of 1,000Rs. Every outfit here is in or under 1000rs. First look Here, I wore over sized Orange top , which has a very beautiful detailing at the borders of the top & it's sleeves. It has a small coin like hanging at the neck of the top.I paired the orange top with offwhite palazo. This palazo has a very beautifull detailings at it's border, which is going perfectly with the orange top. The orange colour of the top , the coin hanging and the deatiling of the palazo makes it perfect for festive look. For Accessory I wore golden mirror earings , which was going perfectly with the detailing of the top. This look is kept very simple yet elegant and can be your navratri look. "Hacks for flawless skin with Biotique"
Summer is a good way to show off your skin wearing short clothes but it may result in tanned & damage skin. In summers it is very easy to get sun burns so skincare should becomes the most important part of your daily routine. Biotique is a brand which has so many best quality skincare. Here with me I have Bio Papaya face wash, Papaya Scrub, Apricot Body Wash, Sandalwood Sunscreen. Ingredient in these products are best known for helping skin to heal sun tan & gives skin best protection from sun. Follow these simple steps to get a healthy skin this summer. This fresh foaming gel is blended with pure papaya fruit to dissolve dead surface cells, unclog pore openings and smooth the way for clear skin to the surface. Gentle refining action uncovers skin's natural brightness for a younger-looking complexion.